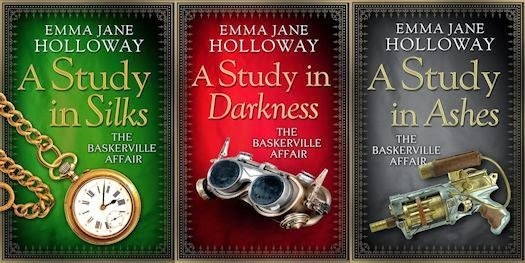 The Baskerville Affair trilogy by Emma Jane Holloway will be published in digital format on August 7th in the UK. 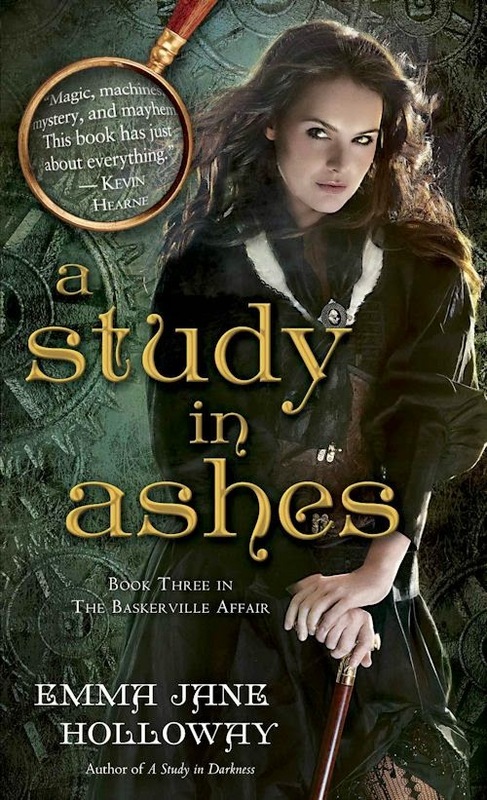 Emma Jane Holloway was kind enough to stop by to tell us a bit about the series. 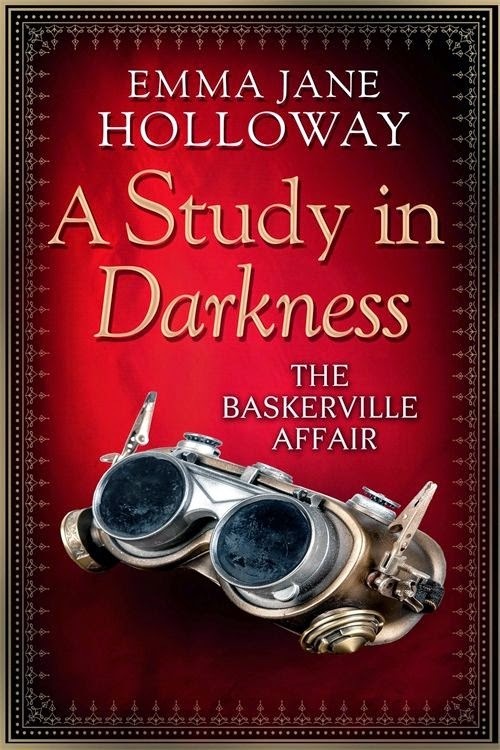 The Baskerville Affair combines steampunk, mystery, and adventure. 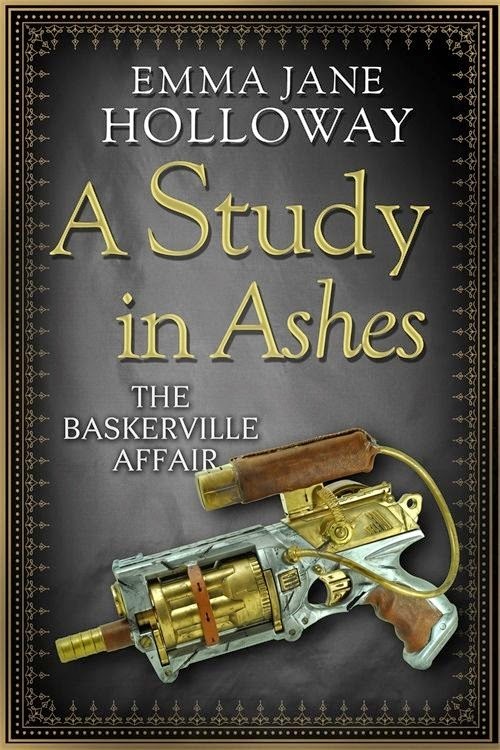 It begins in 1888 London, which is dominated by an industrial cabal called the Steam Council. They have outlawed magic and stripped much of the power from the aristocracy, including the royal family. Add a circus, mysterious automatons, a ne’er-do-well rake with a mechanical octopus, and a talking mouse, and you get the picture. The series came about in a convoluted way. 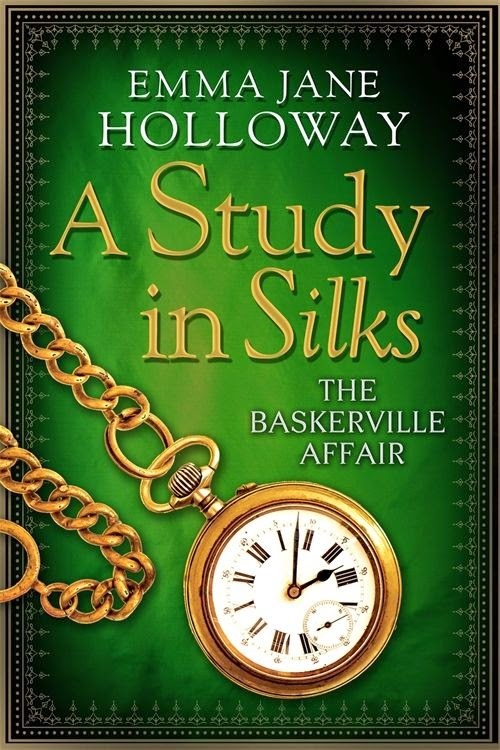 Once upon a time, I wanted to write a story about Sherlock Holmes’s niece. It started as a fairly simple proposition: I’d loved the Holmes tales since I was about ten years old, and I was curious as to what a girl would make of her famous uncle. 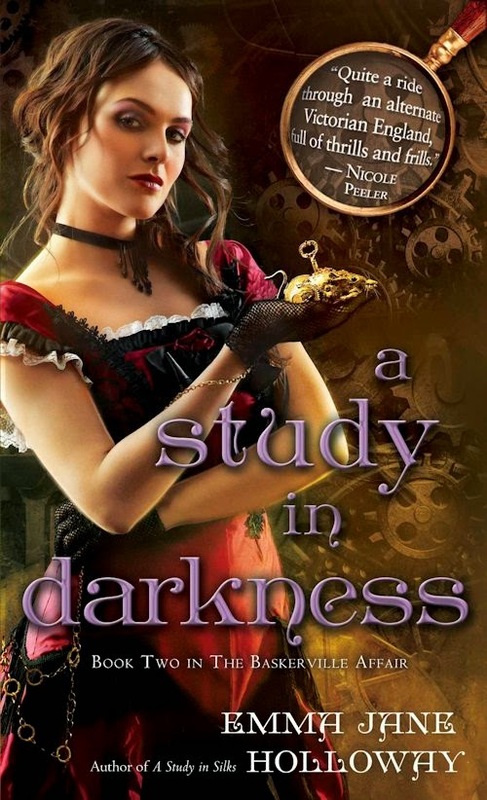 Somehow, I ended up with a complex steampunk trilogy with magic, mystery, and talking mice. In the end, Evelina is an adult in this series, but her relationship with Holmes is still key to who she is. She’s also caught between social classes. Her mother was a Holmes and gentry, but her father’s origins were with the circus, and his bloodline brings an ability to do magic. Unfortunately, such talents are highly illegal. Accordingly, Evelina is trying to make her way mostly on her academic and mechanical strengths, but the temptation to slip in a wee spell now and again is too much. What she really wants is to integrate all these pieces of herself and figure out where she belongs in the world. And what a world it is. The Empire is going through a huge power struggle between the aristocracy and the industrialists and there are several major players—including a rogue sorcerer—who want her unusual talents for their own purposes. Although there are airships and monsters, battles and ballrooms, the stories are all about the characters. 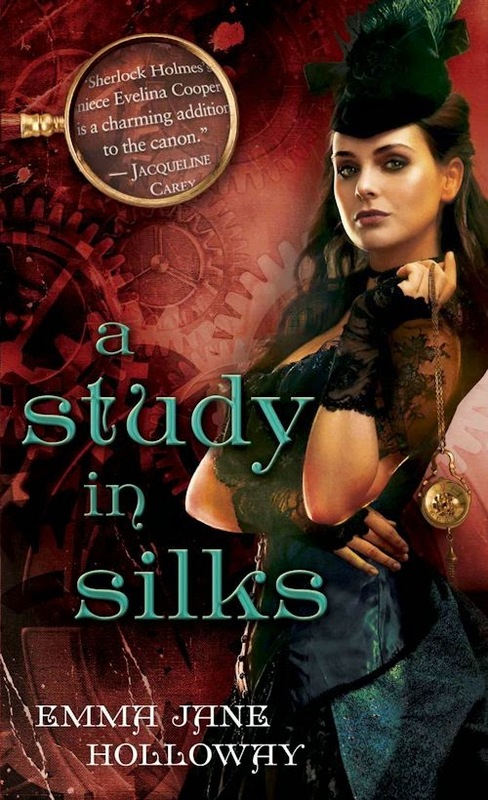 In A Study in Silks, my characters start out in the elegance of London’s Mayfair and end up by the time A Study in Ashes comes along as players in a war of magic and machines that tears the Empire apart. Along the way, they have to face the darker sides of their natures and decide just how much they’re willing to risk for the futures—and the people—they desire. Evelina Cooper, the niece of the great Sherlock Holmes, is poised to enjoy her first Season in London Society. But there’s a murderer to deal with – not to mention missing automatons, a sorcerer and a talking mouse. In a Victorian era ruled by a council of ruthless steam barons, mechanical power is the real monarch and sorcery the demon enemy of the Empire. Nevertheless, the most coveted weapon is magic that can run machines – something Evelina has secretly mastered. But rather than making her fortune, her special talents could mean death or an eternity as a guest of Her Majesty’s secret laboratories. What’s a polite young lady to do but mind her manners and pray she’s never found out? Not even Niccolo, the dashing pirate captain, and his sentient airship can save her. But Evelina’s problems are only part of a larger war. The Baskerville Affair is finally coming to light, and the rebels are making their move to wrest power from the barons and restore it to Queen Victoria. Missing heirs and nightmare hounds are the order of the day — or at least that’s what Dr. Watson is telling the press. But their plans are doomed unless Evelina escapes to unite her magic with the rebels’ machines–and even then her powers aren’t what they used to be. A sorcerer has awakened a dark hunger in Evelina’s soul, and only he can keep her from endangering them all. The only problem is…he’s dead. I adored this series, I highly recommend it!